In this episode, Thien and Rina have the great pleasure of talking to exciting and extremely talented comic artist Michael DeForge. 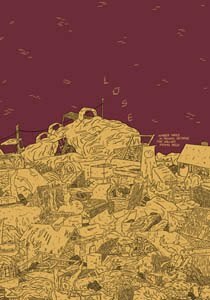 We talk to him about all of the projects he's busy working on these days, his comic "Lose #3" published by Koyama Press, co-editing smutty comic anthology "Thickness #2" with Ryan Sands, and pigging out in Canada. Also, Thien and Josh talk about their time at the Alternative Press Expo and all the exciting comics they got at the show! This one was fun! So listen!